However, you know that not all my encounters in Togo are of a negative nature, and we can find happiness and joy in most every situation. A highly positive part of my trip was spending time with my mother. In the ten years since the creation of Alaffia, devoting time to family was not possible. This trip, my mother and seventeen sisters and cousins traveled with me to the many places I had to be, and it brought much comfort seeing them every morning and catching up on lost time. I should tell that you that I did put on a few extra pounds due to my mother's cooking. With my mother, Abiba Agbanga, near Lomé, Togo. Another encouraging element was the direct positive words we heard from people who have been touched by Alaffia. The following are excerpts from the speeches of the president of an Alaffia shea nut collective, a student who received a bicycle and her mother, and a high school student body representative. Amama Amadou, president of the Bowouda Shea Nut Collective. Bouwouda Shea Nut Collective, with Alaffia's Cooperative Manager, Bouwouda, Togo. 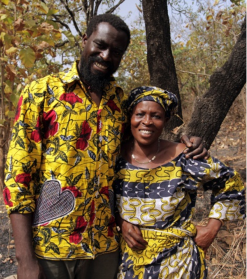 "Before coming to buy shea nuts, Alaffia invited us to give the market price, then Alaffia added 20% to this price. Everyone received her own receipt and money for her own nuts. We sold over seven tons of shea nuts to Alaffia, and together we have saved over 400,000 fcfa [$1,000]. In the past, we got paid little by little for each bowl that we had. Today, the buying process is organized, and everyone gets their whole payment at once. I thank you and I plead you to continue your support in our village in order to reduce poverty. This year, thanks to the 20%, every one of us has paid the school fees for our children. 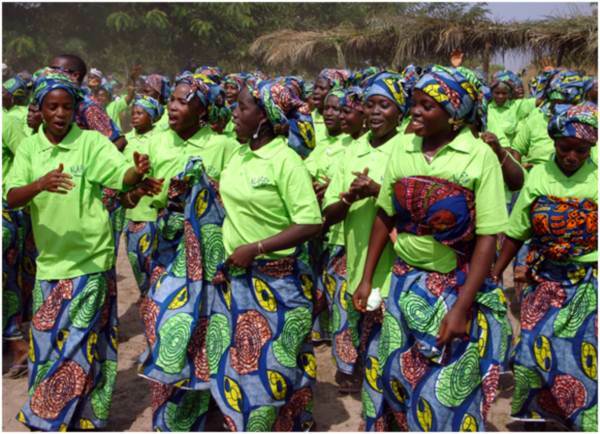 We thank you very much for the support you have given to the women of Bowouda. You will be blessed for your efforts"
"Now that I have been given a bike, I am free. When I did not have a bike, I was always late to school. Now, I am free. I get up, I sweep the yard, I wash the dishes before leaving for school, but I am still on time." 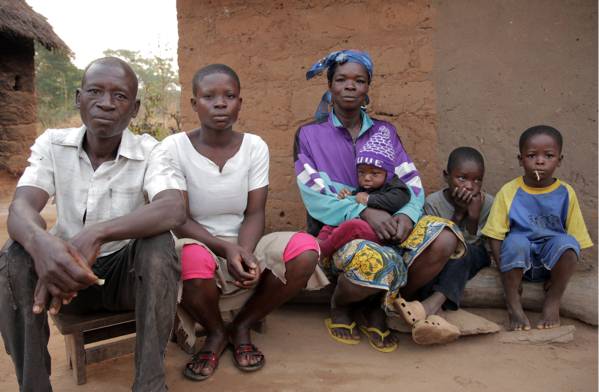 "Before, my daughter suffered a lot to go to school. She was forced to go hungry (because she could not return home during lunch). Sometimes I was able to find 25 francs [10 cents], and I gave it to her to by lunch. And in the evening, she returned very late, from 7 to 8 pm, because of the distance. Now, with her bike, everything has changed. She gets to school on time, and returns early after school. Thank you for this precious gift. Thank you very much." Tiekoa Lare with her family outside their home. As positive and dignified the above words are, they also bring a heavy weight of responsibility which makes returning to American life difficult. We can continue to bring brightness and hope to Togolese individuals, families and communities, but our ability to do this depends on an uncertain market. It brings pain to my heart to see the faces of those who are so grateful and so desperately in need when I cannot promise the help we provide will always be there, since there is no guarantee that Alaffia's sales last year will be realized this year and the years to come. The only things that are certain is that my life will forever be sacrificed for the empowerment of all disadvantaged people, and that even if Alaffia was to disappear today from the face of the earth, the support and the opportunities that each and everyone one of you have given us in the past ten years has profoundly impacted my communities for generations to come. With all my heart, I thank you for all you have done in the support of Alaffia, and I once again wish you a healthy and happy 2013. 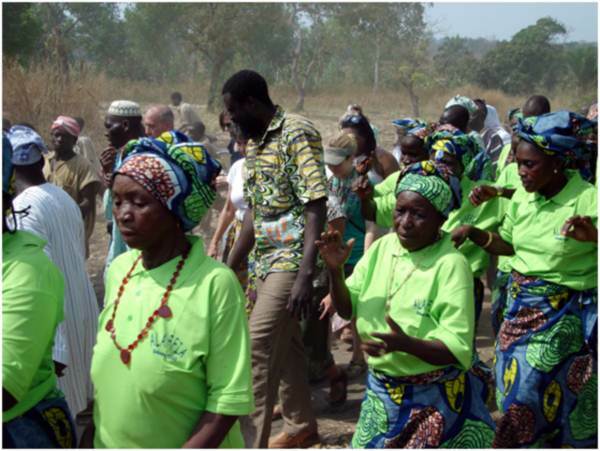 Walking with Alaffia cooperative members, Sokodé. 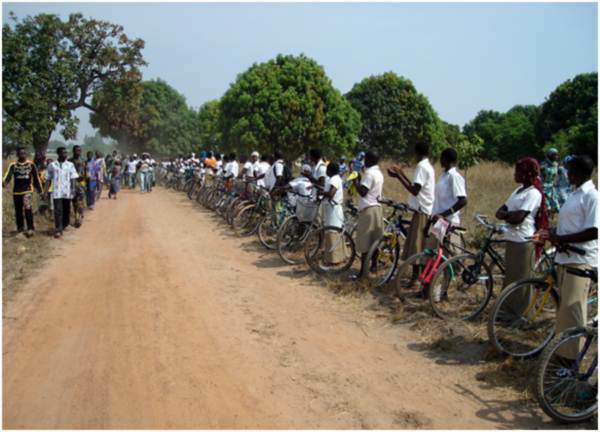 Bicycle recipients line up to greet me and our guests in Sokodé, Togo. Alaffia cooperative members sing their welcome. I support your projects. And I think you might like this cv vs resume service. Check it out later!